This post will tell you how to deploy metadata from one Salesforce org to another Salesforce org using Apache ANT Migration tool. Apache Ant can be used to deploy metadata even if the Orgs are not connected, which is a traditional change Set approach limitation. Prerequisite -- Apache ANT . 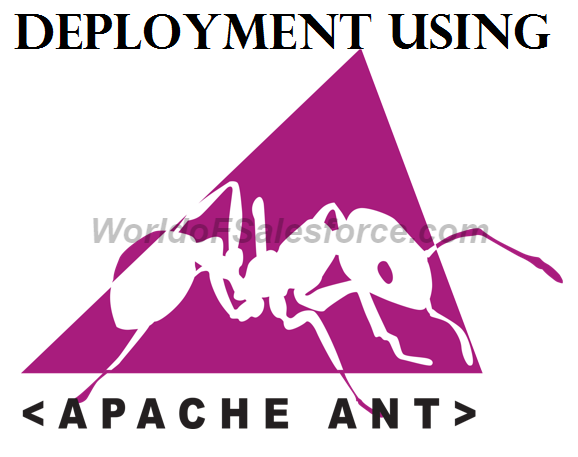 If you don't have Apache ANT installed then click Installing Apache Ant Migration Tool to install. If the prerequisite are done go to Download Summer ’16 release .zip (version 37.0) download and extract the zip file. Copy the ant-salesforce.jar file and paste it in the lib folder of Apache Ant. There are 2 main files which are to be configured . 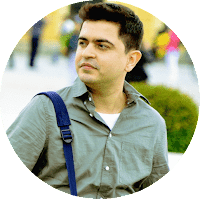 In this file save the credentials of source otg in ORG1 and destination org in ORG2. password should have the password followed by the Security Token. svn.dir path should point to the directory where you want to code to retrieve. You should keep your package.xml also here. Paste the build.xml and build.properties file which you downloaded into the bin directory of ant. Once all these steps are done , go to CMD, Navigate to the bin directory of ant and type --> ant retrieveCode and press enter. It will start retrieving the the metadata mentioned in the package.xml from source org (ORG1).